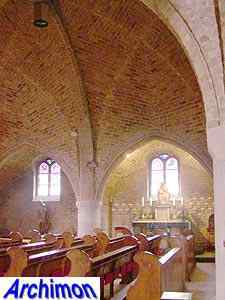 This is a five-aisled cruciform basilican church in Traditionalistic style, built as a replacement for a church built 1828-1833 at a different location in the village. 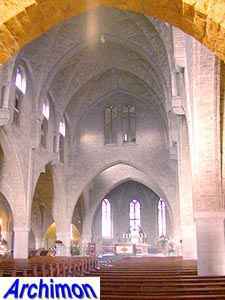 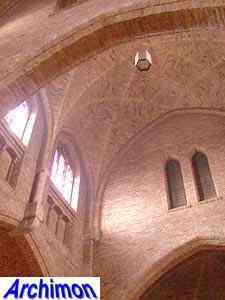 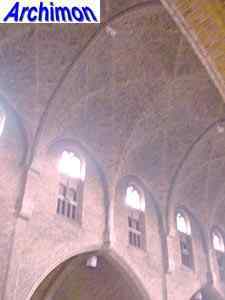 Architect Valk used elements from both Romanesque and Gothic architecture. 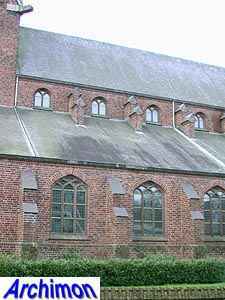 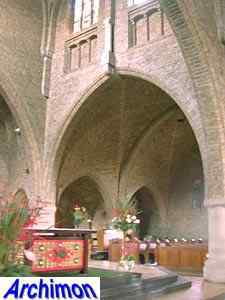 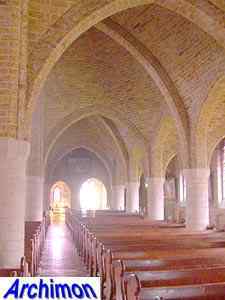 The entire church was built out of handmade bricks. 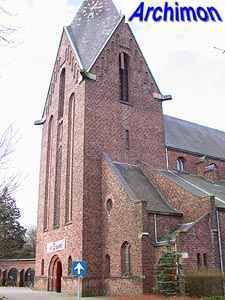 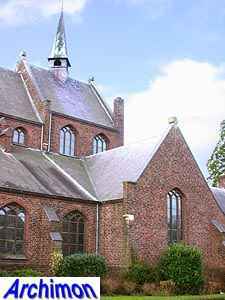 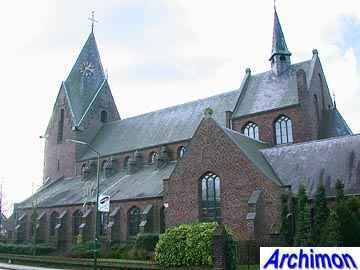 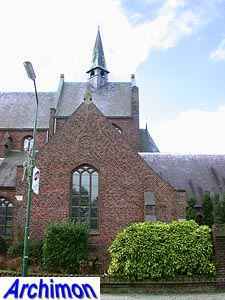 The impressive tower has four pointed gables and a spire with four rhomb-shaped sides, a construction very similar to the tower the architect had designed for his church of St. Michael in Sint-Michielsgestel two years earlier. 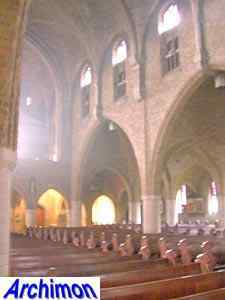 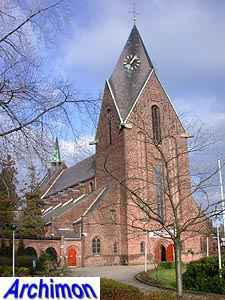 Like that church, the St. Martinus is a christocentric church, with an undeep choir, a crossing-tower and an interior designed to make the view at the altar as best as possible. 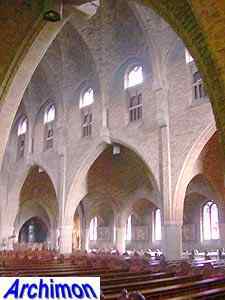 Valk managed to use only four columns to support the vaults. 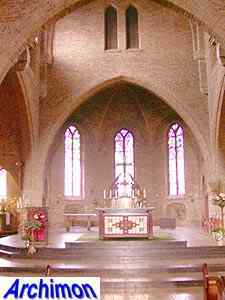 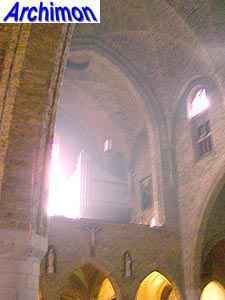 Unlike other christocentric churches by Valk, the crossing-tower here is hardly higher than the nave.